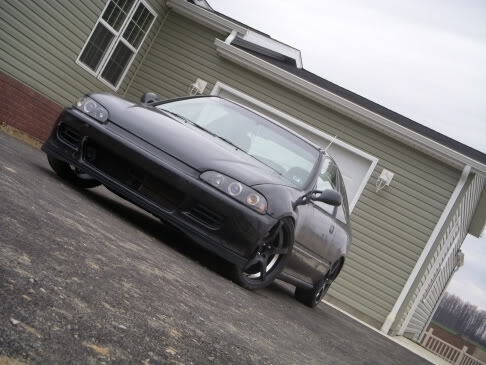 If I put some lowering springs on my civic, will it be screwed when i drive over some railroad tracks or hit a bump? Someone told me it will damage my car really easily and that I shouldnt do it since I live in Louisiana (Extremely crappy roads). im sure with lowering springs you should do just fine... how much of a drop is it? It is adjustable from 1" to 4"
Springs are not adjustable. Coilovers are. As far as damaging your car when lowered, you can and might bottom out, possibly damaging the exhaust manifold, oil pan, front bumper, lower radiator support, or control arms in extreme cases. It all depends on how far down you go. Last edited by cvcrcr99; 12-12-2011 at 11:16 AM. Honestly, I wouldn't even think about touching those. You're talking about the devices holding up the weight of over a ton of metal; it's not something you want to cheap out on. I'd suggest looking into Skunk2 (around $300) or Ground Control (a little over $300) for quality coil-over sleeves. I drove like that for about two years with no damage other than a few rub marks on the inner fenders up front and an axle-back that might have gotten separated from the mid-pipe (it involved leaving an extremely poorly paved parking lot). My header and oil pan never touched the ground and I never high-centered the car. And that was in rural Pennsylvania (where roads get paved every few decades). Last edited by GeekNinja17; 12-12-2011 at 07:36 PM. I doubt you'd mess up a quality brand-name spring. If you use the stock struts they'll start leaking a lot sooner than they should, but that's about it. Really, a 2" drop isn't too excessive. Tein's S-Tech springs lower just under 2" (1.7" in front and 1.9" in back if I remember correctly) with a relatively low spring rate (so they'll ride smoother than most other lowering springs) and they can technically be used with the stock struts due to the low spring rate. I'd still recommend at least getting new struts if not higher-performance aftermarket struts. If you get the right setup, there should be no problems driving around. You may need to be a little more careful driving over stuff like rail road tracks but nothing bad should happen. If you keep a moderate drop, clearance shouldn't be much of an issue.